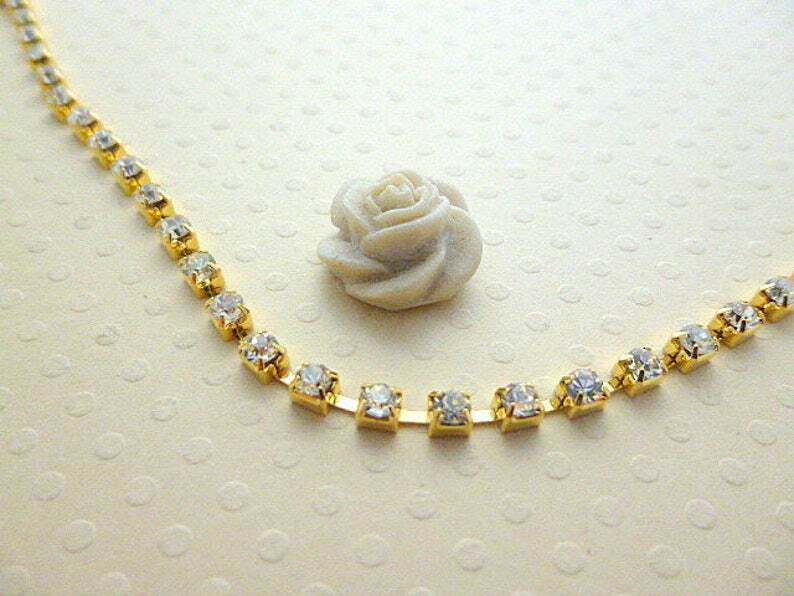 Brass chain and golden color rhinestone Crystal colors. Sold per 1 metre. If you would like multiple units desired length you will be sold in one piece (within the limits of available stock).